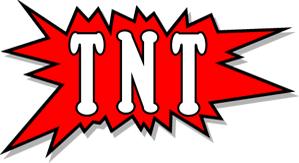 Sign up and get your TNT magazine fast! PLEASE CALL 570-467-2528 TO CANCEL OR UPDATE YOUR PAID 1ST CLASS SUBSCRIPTION. eBook – Convenient, Fast, Free! Available the day before we publish! Get notified by email. All we need is your name and email address and you’ll be the first to get to read TNT. 1st Class US Mail (Get it Fast!) for only $55.00 per year! If You are Located in CT, DC, DE, MA, ME, MD, NH, NJ, NY, OH, PA, RI, VA or VT you can request a FREE 4th class mailing subscription. you need it faster we highly recommend our inexpensive 1st class mailing. Buy the Current 1st Class Issue. Only $2.10!